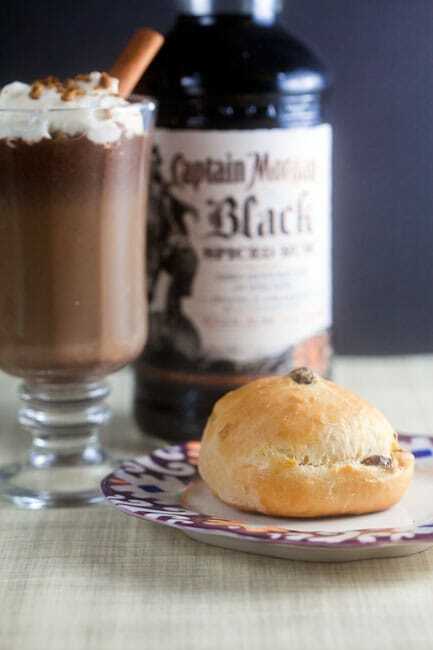 Rum Buns + Gingerbread Hot Chocolate | Healthy. Delicious. 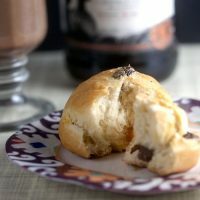 I have another two-fer for you today: fresh baked buns stuffed with rum-soaked raisins and scented with orange peel AND spiked gingerbread hot chocolate that will help warm you up on the chilliest winter nights. Start Christmas morning with a bun, finish it off with a hot chocolate, and you’re pretty much guaranteed to have a holly, jolly holiday. So, let’s start with the buns. 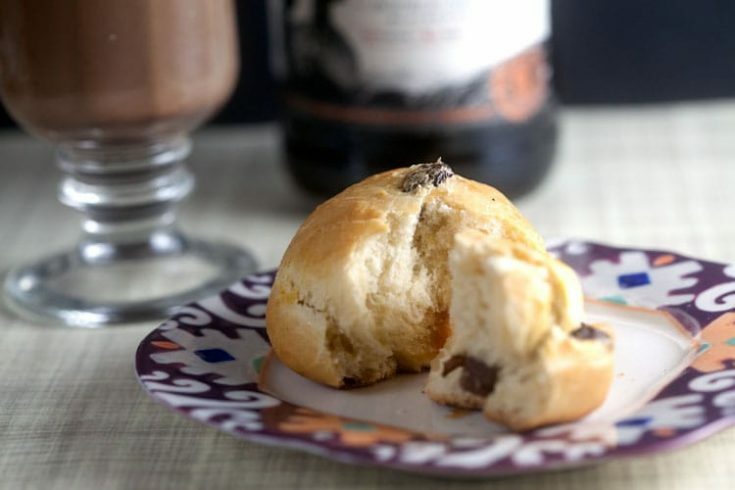 I was originally thinking about making some sort of cinnamon roll to serve at breakfast, but then Shawn reminded me of the delicious rum rolls that were served with a seafood dinner at a restaurant we went to once. They were a fabulous and unexpected addition to the meal, and I decided to do something inspired by those. 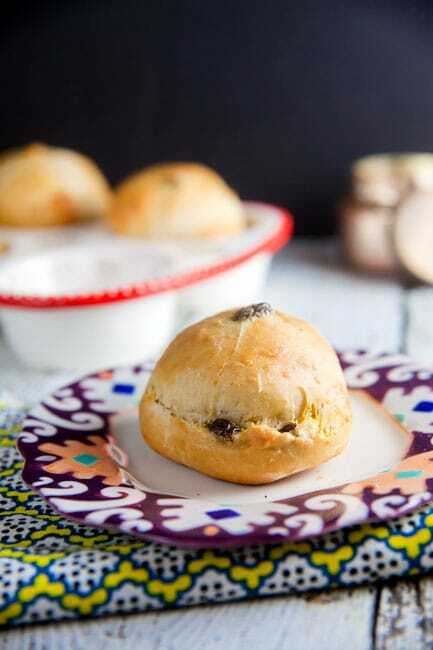 Of course, my recipe took a few twists and turns along the way, and ended up being very lightly sweet rolls that are great with dinner or for breakfast. If you have leftover ham, you can also use them to make a sandwich…. so amazingly good. When I think of rum, I usually think or the Caribbean or warm, beach-y places, but the addition of orange zest gives these rolls more or a Scandinavian vibe that makes them seem so appropriate for Christmas. I’m kind of in love with them. Like my last Captain Morgan post, I was kind of stumped when it came to creating a drink. For as comfortable as I am in the kitchen, I’m just as uncomfortable behind (or, honestly, in) a bar. It’s been so bitterly cold here this week though, that I definitely wanted to make something warm. 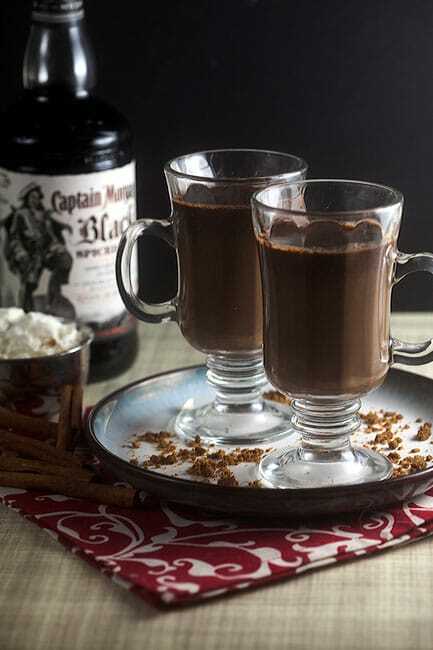 I ended up getting my inspiration from the gingerbread cookies I made a few days ago and did a gingerbread hot chocolate spiked with a splash of Captain Morgan Black. The resulting drink is rich, rich, rich and between the warm spices, rum, and temperature, it’ll definitely keep you nice and toasty! 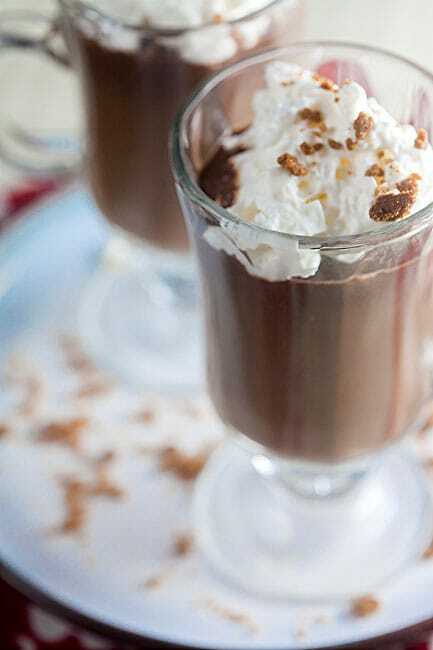 Gingerbread hot chocolate is perfect for Christmas Eve or as an after-dinner drink on Christmas Day, but I have a feeling I’ll be drinking them all winter long. Combine all ingredients except the rum in a small saucepan. Bring to a simmer over medium heat, whisking constantly. Simmer for 5 minutes, or until the chocolate chips are melted. Remove from heat and stir in the rum. Divide between four glasses or mugs. Top with whipped cream, cinnamon sticks, and crushed gingerbread cookies, if desired. 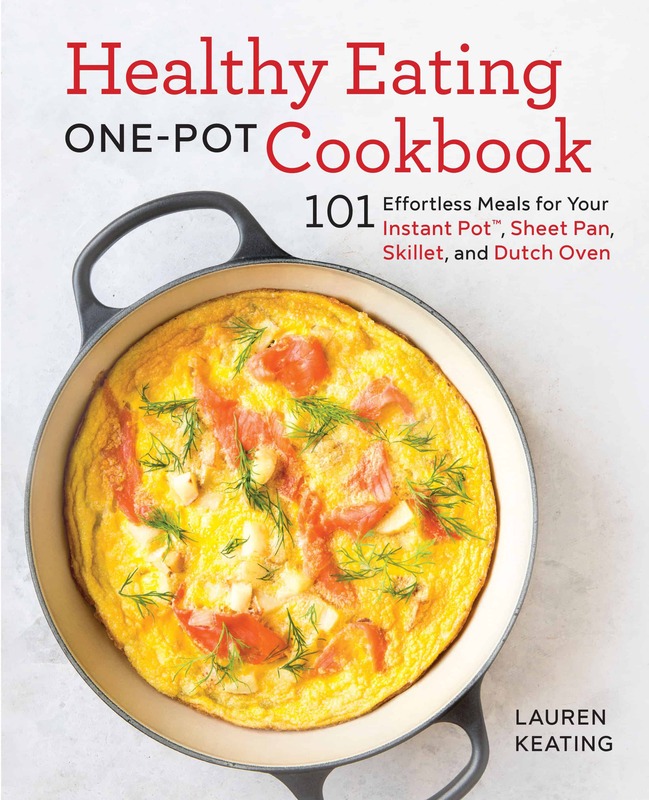 © 2015 Healthy. Delicious.. All rights reserved. This post was sponsored by Captain Morgan. I received three bottles of rum and a small stipend to cover the cost of ingredients. Please drink responsibly! 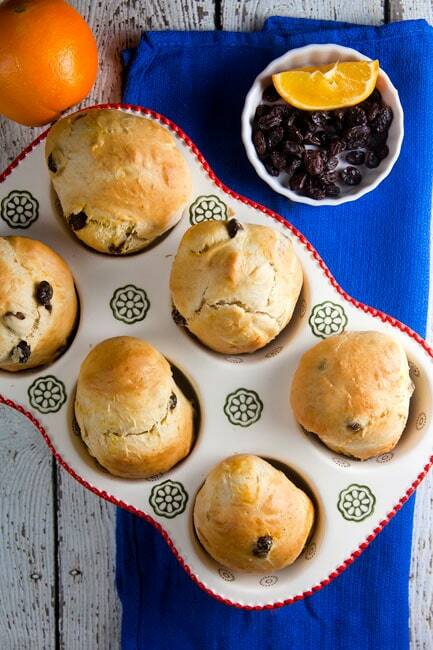 Onange.rum buns… that sounds right up my alley. Love both recipes! Definitely will try them out. 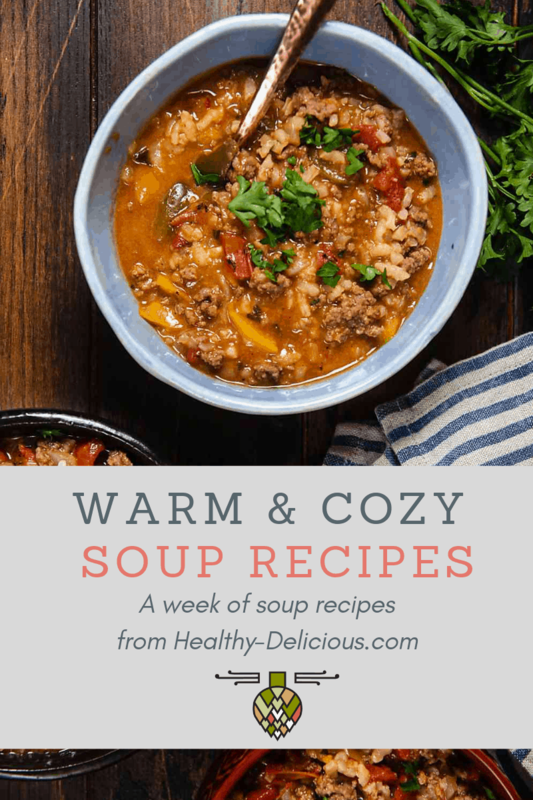 Oh my – both these recipes look amazing! I love any sort eggy/challah based breads and the addition of rum, yeah just pass me a tray please.